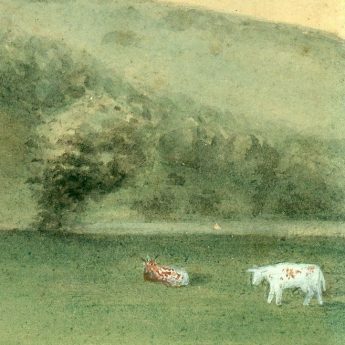 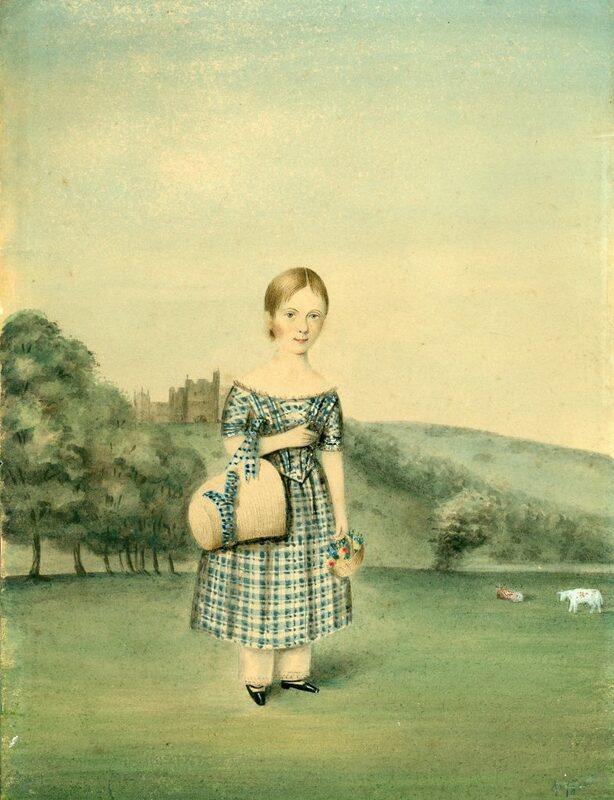 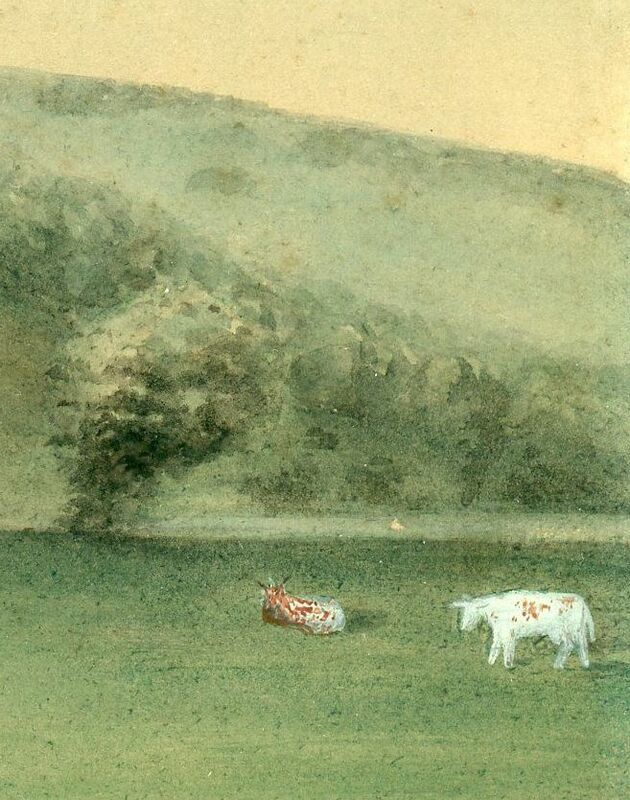 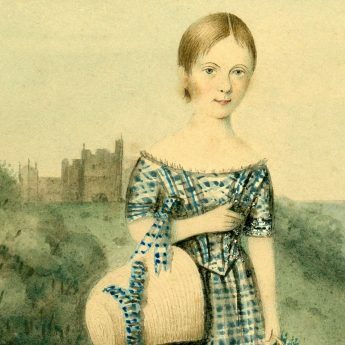 A charming watercolour portrait of a young girl standing in a pastoral landscape with cattle grazing ain the foreground of Alnwick Castle seat of the Dukes of Northumberland and famous as Hogwarts in the Harry Potter films. 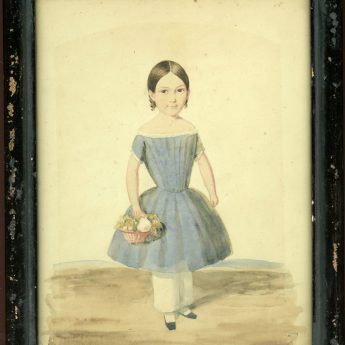 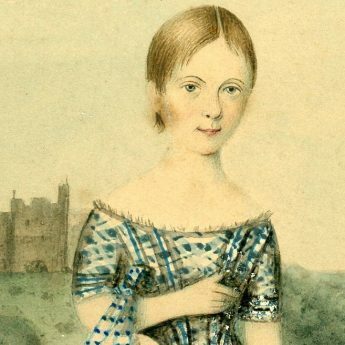 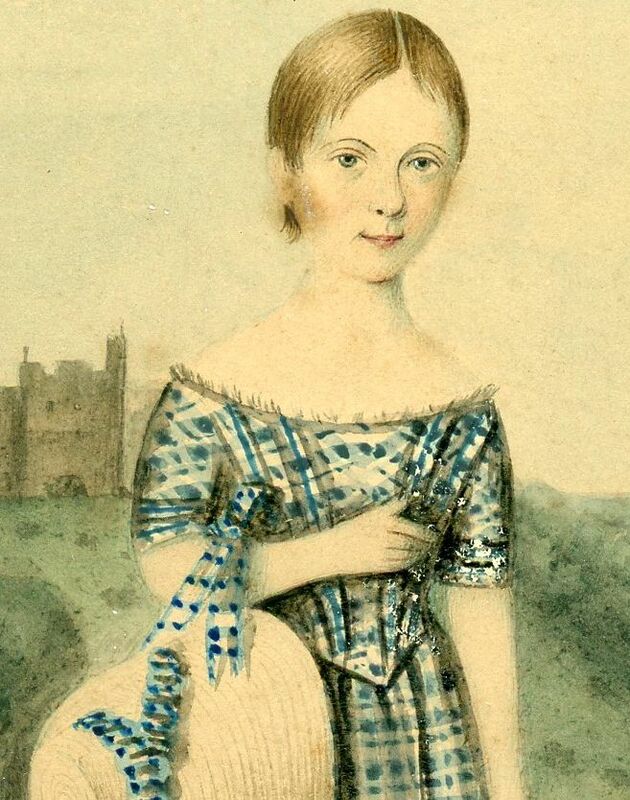 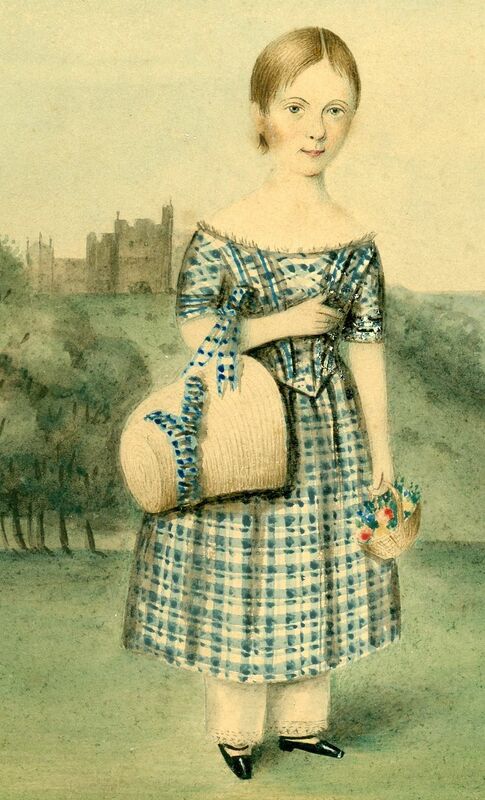 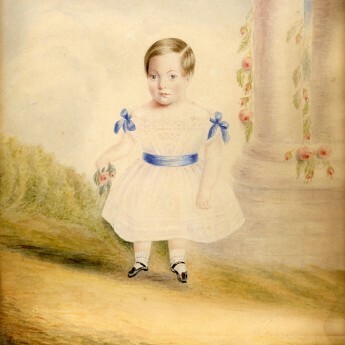 Holding a tiny basket of colourful flowers, she is wearing an eye-catching blue and white plaid dress over lace-edged pantaloons and dainty buckled shoes. 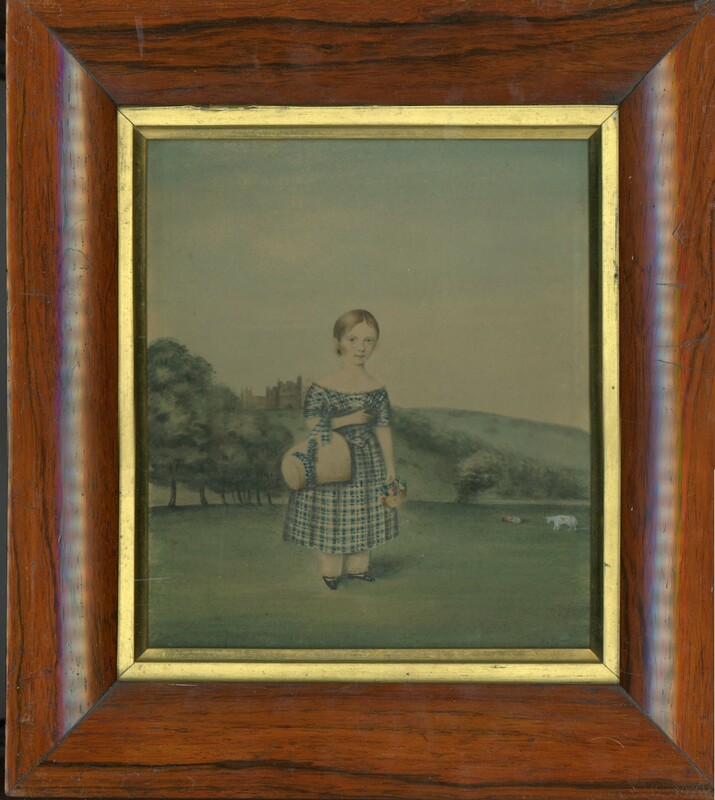 Her straw hat, trimmed with matching plaid, hangs over her arm. 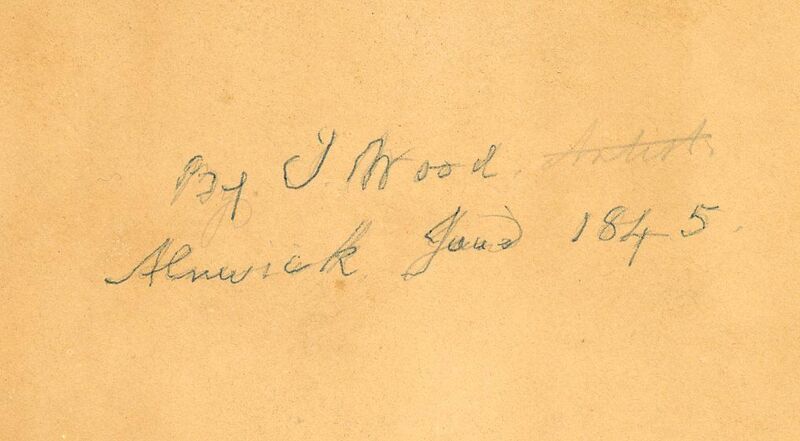 The portrait is signed reverse ‘By J. 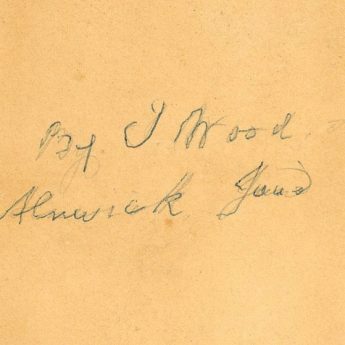 Wood Artist / Alnwick, June 1845’. 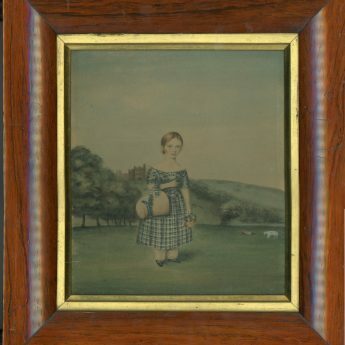 It is set in a period rosewood veneer frame with a gilt slip.